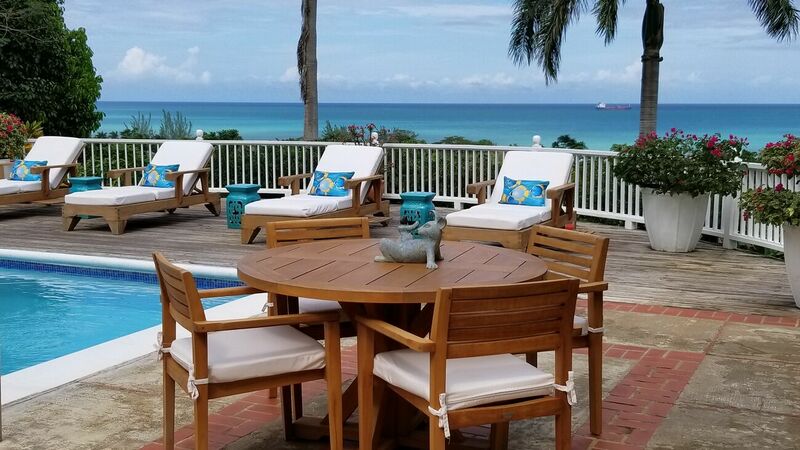 3 bedroom villa , views to the Caribbean sea. Tryall Resort Membership. Please read for the exclusive resort features for this villa. Island House is a delightfully refurbished villa with lovely crafts and artifacts, each reflecting Jamaican culture. The warm, tropical colors used all through the villa add vibrancy and warmth to the environment. The pleasant ambience of the Jamaica villa is very relaxing. 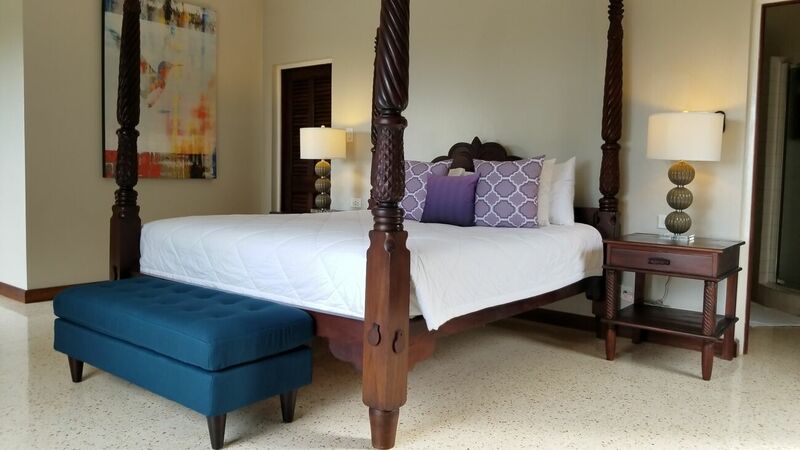 Each room provides spectacular panoramic views of the Caribbean Sea and the Tryall Golf Course. 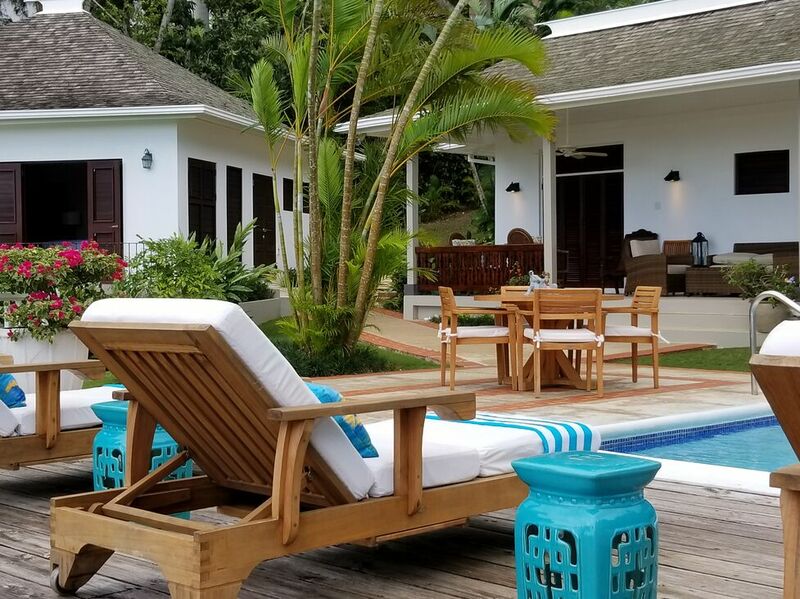 The three bedroom villa in Jamaica has one master suite and two guestrooms. All three bedrooms are air-conditioned and have en suite bathrooms. The master suite is located in a separate cottage for added privacy. It is furnished with a king-sized mahogany bed and has a private patio, which provides picturesque views of the surrounding landscape. 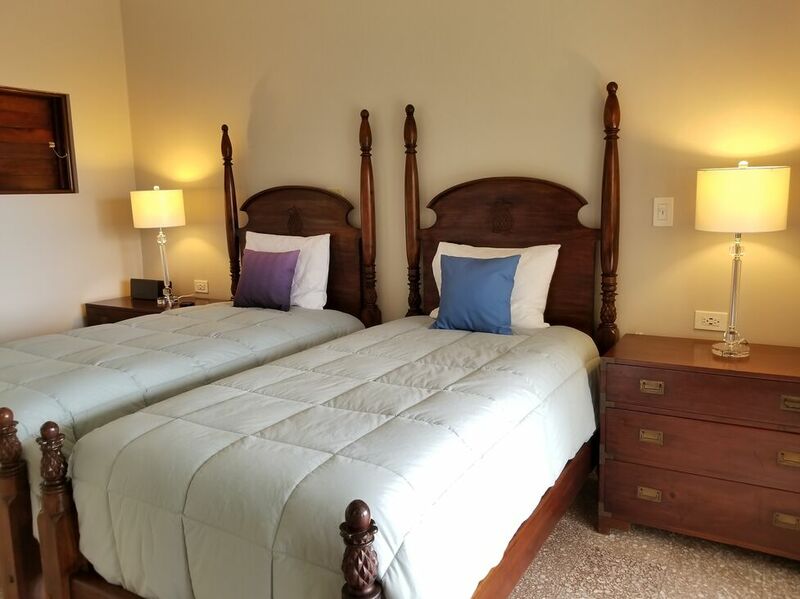 The two guestrooms are within the main villa, one of which has a king-sized bed, while the other is furnished with twin beds. 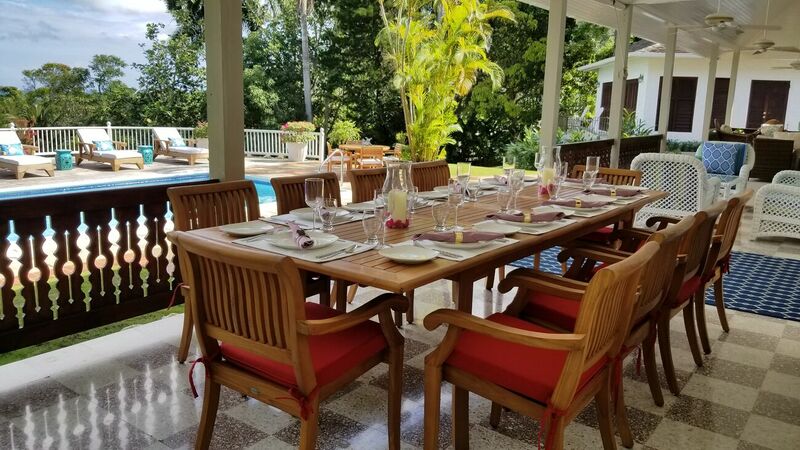 The open dining area and living room overlook a stylish verandah and provide fantastic views of the glittering Caribbean Sea. Wide doors open from the living room to the sunny, spacious verandah. The living room furniture is very trendy and has a complete entertainment center, with cable television, CD and DVD players. Island House also provides high speed Internet services. The pool deck and lush, beautifully landscaped gardens are adjacent to the verandah. Guests have two complimentary golf carts available to them for exploring the beautiful and expansive Tryall Golf Course. A complimentary shuttle is also available to take guests to the Tryall Club and Resort. 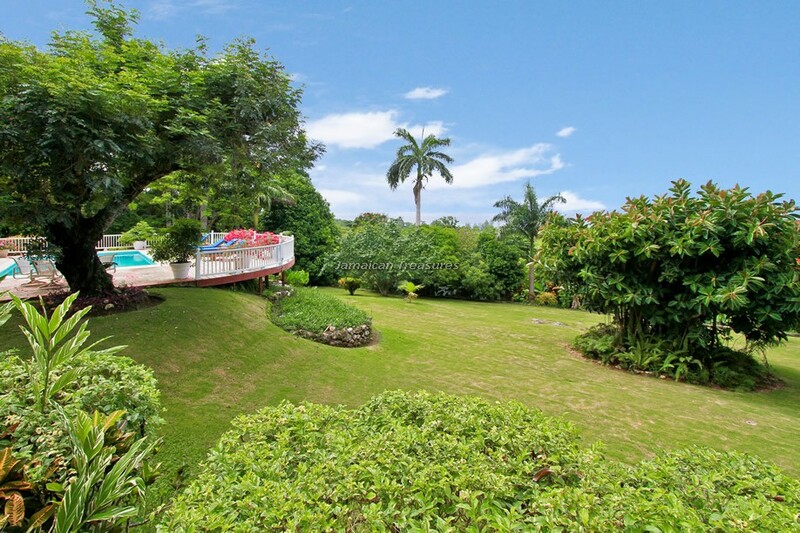 Its proximity to the golf course makes Island House one of the most popular villa rentals in Jamaica. 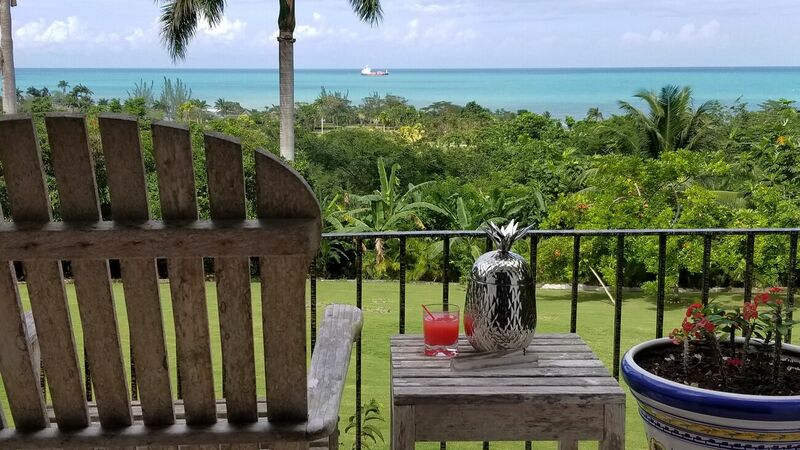 The villa is fully staffed with an experienced team, including a cook, laundress, housekeeper and gardener. The cook, Sheila is the head of the household and has been preparing appetizing meals for Island House guests for over ten years. 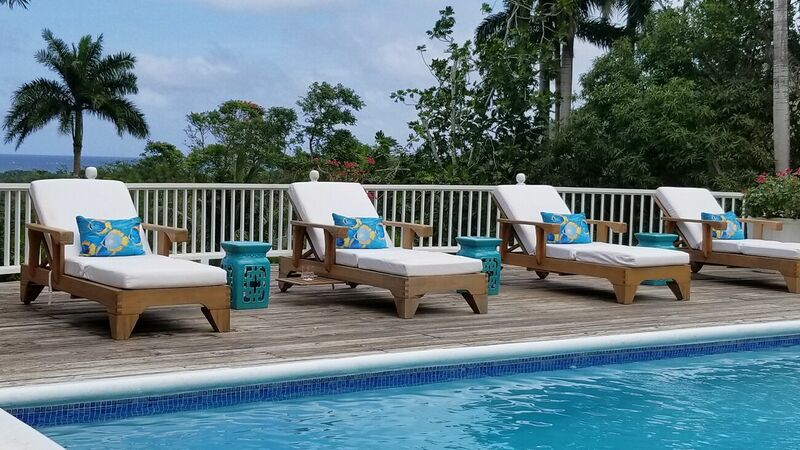 The staff provides all guests a very warm welcome and ensures that their holiday experience is a memorable one, at one of the best luxury villas Jamaica.